September | 2014 | ISE-HAKUSAN DOU'S "THE UNIVERSE"
After you die, you are born a baby. A new born baby have to be taken care of for a couple of years, such as food and excretion. Otherwise he/she would die. Those who took care of you are your parents or a person who has something to do with you. No human being has ever survived all alone. I remember the time when I was a new born baby. I can still remember my parents and my brother looking into my face when I couldn’t still move my body at will. One day, during the daytime, when my mother was changing my diaper, I was looking up at my mother’s face from below at first. But I came to look down at my body and my mother’s back from near the ceiling. In short, my consciousness at the time when I was a little baby has never changed at all. The only difference was not being able to move my body freely.There is a law that when a soul comes into being in the World of Reality from another world, it has to be taken care of by someone else for a couple of years. Now, let’s think about humans’ death. After you die, you just transmigrate from this world to another. If you die at the age of 80 in this world, for example, you’ll be born under the age of one in another world because you do in a different dimension. Since you are less than a year old in the world after death, you can’t move free until your soul adapt itself to the new surroundings and get used to it. And at the period of your adaptation, it is important that memorial services for you are held by related living people. This is the memorial service for ancestors. It differs from person to person how long it will take for the deceased to be able to move around in another world. When the important person dies who took care of you when you were born, you have to take care of the person in return by holding a memorial service for him/her. To hold a memorial service for ancestors just means that you repay the person for his/her kindness. It is what everyone should do as a matter of course. A person who can practice filial piety for the parents when they are still alive is a great person and must be a happy one. I know it is difficult to do because of some conflict against them or shame. Some of you may have your parents dead or have difficulty taking care of them for some reason, but you can help them, when they come into being in another world, by holding memorial services for them.This is a great thing you can do after they passed away. Many pay psychics, more than you imagine, disregard the memorial service for ancestors, which I think is just the give-and-take that you repay others for their kindness, and reject it as unnecessary, putting forward far-fetched argument. Some pay psychics go so far as to ridicule it and say that the memorial service is done for selfish motives so it is meaningless. I’m sure such a person has never held a memorial service for his/her ancestors before. Because such psychics have never done it before for themselves, they don’t know anything about the effect and criticize it unrealistically. If you put into practice the right kind of memorial service for your ancestors, you can have a lot of learning experiences only you can do. There is no room for others. No one can cut in between parents and child. Even if you do some volunteer work from hypocrisy, for example, it is worth doing. If someone is saved because of your action, it is salvation for the person. If someone denies your action or condemn it as worthless because you did it from hypocrisy, such a person must be insincere and he is just watching things without doing anything for others. If you can keep on doing volunteer work, it is really a pure, great thing to do. Actions would get rid of your anxiety and ideological way of thinking. We human beings cannot keep on doing a good deed if it is just done from hypocrisy. A hypocrite would abandon it sooner or later, thinking “A good thing never happened to me.” The same thing can be said about practicing the memorial service for ancestors. Those who disregard and are against the memorial service must be a bad son or daughter. Those people who won’t repay their parents for what they have done for you will never fail to fall on hard times. When you hold the memorial service, it is important to do it in an understandable way with an understandable language for both the deceased and you. When we speak to a new born baby, we usually choose words easy to understand naturally. We never use a big word. Why do we use Buddhist scriptures of unknown nationality for the sake of our ancestors who just died and came into another world? Buddhist scriptures used in Japan are neither Indian language nor Japanese. Ancestral spirits can’t understand them at all and they don’t make sense. It is best to use an ordinary spoken language when you express thanks to the deceased you love. If you curse someone, you are bound to pay. As long as we live, we are hated and liked by someone without knowing. This is also an important training as a human being. Such experiences can only be enjoyed when you live in society and are precious stimuli to your soul. If you do religious trainings by yourself abandoning the social life, you can accomplish nothing however hard you try. You have to know that it is a noble mind for you to realize that you are kept alive after all and be grateful in your surroundings where miscellaneous stimuli are spread. It is the process toward the realization that is a precious and true training of your soul. And this enables you to improve your spirituality, which any religious training can never achieve. 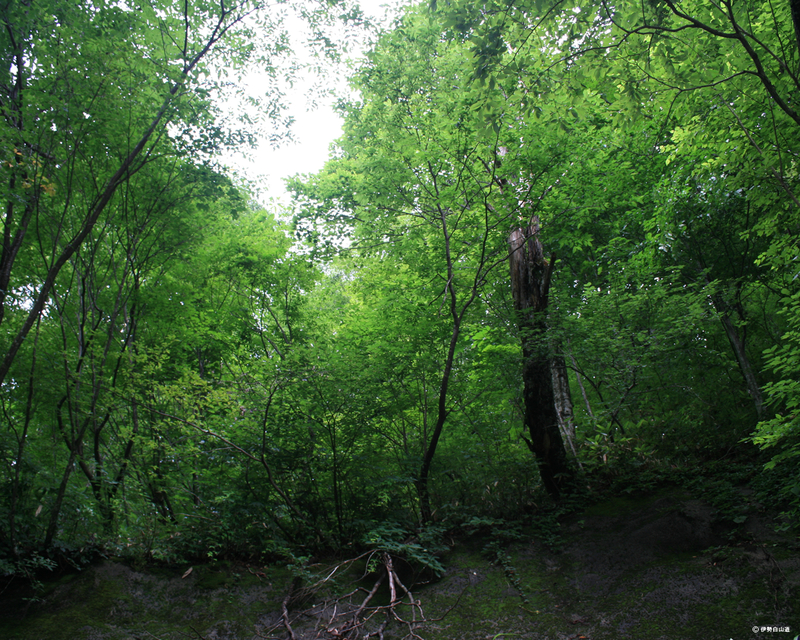 Mysterious experiences in a religion or Shugendo（修験道）, Japanese mountain asceticism-shamanism, are nothing more than an experience under the influence of the World of the Dead at its golden age. If you value those strange phenomena, you are immature in spirituality. The righteous God abhors strange phenomena. Having no mysterious experience means that you are on the right track. It is important that you have courage to face up the reality. Those people are apt to have mysterious experiences who want to escape from society or are reluctant to work or wish to get rich without efforts. Such experiences are actually caused by intervention from Devildom. Pay psychics, gurus, and healers, who make money by telling some mysterious experiences, justify themselves pretending that odd experiences are of high dimension and good things. But they are just dazzling people who live right. Later years of life will be very bad of pay psychics who sell a mysterious experience or people who receive money by casting a spell of Shugendo or making their clients expect some miracles. They are also likely to die young. Conversely, a person who had the truly right kind of mysterious experience becomes silent. He goes back to society and tries to live up to the expectation of God in his daily lives. It has been said since ancient times in Shinto that the true God never speaks. That is, the righteous being never speaks and hates showing something strange. Now then, what should we do if we should experience an unwanted mysterious phenomenon or be annoyed by odd things? Let me explain what to do in the case of the unwanted phenomenon being due to grudge of another against you. In the first place, think about whether or not you have done something wrong causing someone else to have grudge against you. Or reconsider your conduct. Also you should consider if you are being rude to the dead. Then, look back on and consider many aspects of your life and make sure that there is nothing to be ashamed of about yourself. It is not until you can do these things that you are permitted by God to defend yourself with a certain spiritual magic words. In case you can specify the person who has grudge against you or has one-sided love for you, or has been dead and you take care of, repeat in your heart or speak out “Please leave me and go back, HIS/HER NAME. Thank you so much for keeping HIS/HER NAME alive.” It doesn’t matter if you are angry with the person. Just concentrate on the content like this. By doing this, if the person is to blame, the energy of grudge he/she gave off to you will be returned to the person twice as strongly. If both the person and you are to blame, seen from the eyes of God, nothing will happen. Next, in case someone cast a curse on you with some spiritual being, the person will be put in a miserable predicament. Spiritual beings used in casting a curse, hit back, change sides easily and betray the user. It’s just like once a dog gets used to a new owner, the dog gives priority to the new owner before the former. Spiritual beings are much more extreme. If you ask Yakuza to settle a problem for you, they will squeeze as much money as possible from you regardless of the result just because they worked for you. If you pay to them easily, they will try to squeeze more money from you for this and that. It’s all because you just made a request of them. In the same way, spiritual beings, made to do something for you, will ask for repayment in return. Most professional psychics, who know how to cast a spell, learned by watching someone do it, cannot perceive the later charge by the spiritual being unless they have true spiritual ability. As a result, they will end up in being beaten up by the spiritual being they used. So, if you have grudge against someone, you’ll have to pay for it in the end, whatever results. The holy energy of both Kunitokotahi-oh-kami（国常立太神）and Amaterasu-oho-mikami（天照太御神）included in the spiritual words “I Ka Shi Te I Ta Da I Te A Ri Ga To U Go Za I Ma Su” makes spiritual beings that move on demand of a human grudge get scared, shudder and get away. You can return offensive energy cool and steady by saying the holy words. It is “conscience” that you can rely on when you are about to die. When we die, we die alone. In the face of death, what can we depend on? Can it be your emotional support to know a famous psychic? Can it be your emotional support to be a believer of a great guru? Can it be your emotional support to know some magic words? Can it be your emotional support to have faith in a miraculous shrine or temple? No, they can’t. As you are faced with death by yourself, none of them can be your support at the last moment, which is also the time the lies of a pay psychics or a cult group are revealed. You’ll keenly feel that no one accompanies you. If you are dependent on a spiritual being or a thing other than you, you’re sure to get uneasy and lost in the face of death. Having faith in something outside of you would cause you a handicap which increases bewilderment in such a critical situation. If you try to depend on anything external that you suppose doesn’t exist in you, you’ll realize, when you’re about to die, that you can never rely on such a thing. As long as you are dependent on a thing outside of your heart, it will fail you at a critical moment. We human beings can feel relieved from the bottom of our heart if only we can believe that God is in our heart. Even if you’re about to die, you can absolutely feel like “OK. No problem. It’s just another journey with God.” To acquire such a mental attitude, it is important to form a habit in your daily lives of always trying to feel God in your heart.There will be a big difference in development of mind at the last stage of life between those who just experienced passage of time always subject to immediate phenomena and those who led their life always conscious of their inner God in their daily lives. It can be said that God is conscience. Not so hard to understand. Conscience is a considerate heart like “If I did this, I would annoy others,” ” It would be better to do this for others,” etc. Though there is a time that you know what to do but you can’t do, it is possible that you try to develop your conscience. You could be happy on your own withtout spiritual handicaps. I have written many times that as long as we live in this World of Reality, we had better hold right kind of memorial services for our ancestors. The reason is that , like it or not, we are affected through a spiritual line by ancestral spirits who have not rest in peace as long as we rent our bodies from our family line. Spirits who are in anguish call us in many ways to draw attention from us.Wave motions of anguish they emit are always reaching their offspring through the spiritual line. That’s why some of us are mentally unstable all the time and feel uneasy for no reason. Under these circumstances, we would make wrong decisions and leak our physical life energy. Regarding this situation as unlucky, we tend to turn to a spiritual being outside of us. But most of those spiritual beings who respond to our personal desires, to make matters worse, are various ghosts and monsters in fact and ask for something later in a condition for exchange. Once we pray for something to such a evil spirit, we have to visit the place it exists regularly and contribute something; otherwise you would come to be overwhelmed by anxiety. As you receive more of the wave motions of request from the spiritual being as well as those from your ancestral spirits in anguish, you would be unable to believe in your inner god. As a result, you are likely to have a nervous breakdown and attract truly miserable situations by yourself. Some psychics or gurus might say to you that they can solve all your troubles and give solutions to your health and life problems, and receive money from you. They don’t understand that they are committing serious sins because of the deed, because they are already apart from the righteous God. It is determined where pay psychics or gurus like this go after death. As far as I know, to hold memorial services for ancestors with gratitude being a key, and to remind yourself of gratitude to God are most powerful and can make things better. Without handicaps caused by the wave motions your ancestral spirits emit or interference by other spiritual beings, you could exert yourself enjoying the joy, anger, grief, and pleasure of life. It is not that you have only to hold the memorial service and wait for something lucky doing nothing, nor that your desires are realized by other power. It is your efforts that make your dreams come true. However, there is a big difference between the efforts you make with spiritual handicaps and those with no spiritual handicaps. The less negative, spiritual dirt you have, the more you can feel the inner god you are in charge of. Then you come to be in the state of Kannagara（カンナガラ）, living with God. It is then that mysterious power indwelling in human beings begins to work and favorable conditions appear. Though the content of happiness differ from person to person, this is really great. Having spiritual dirt is your responsibilty. Today, the sky was clear and the spiritual light of the sun was reaching the earth together with electromagnetic wave. I had been feeling the intense purification by the sun since yesterday. I witnessed a couple of car accidents yesterday though I think they were just by accident. A lot of people may have had headache today with the sunlight being so intense. I think a lot of people seem to have been affected unconsciously. According to a news program on TV I saw in the afternoon, a criminal was arrested who sold a bracelet which cost no more than 20000 yen for 500000 yen, pretending that it could improve blood flow. The man who bought it may have suffered from a chronic disease and bought it desperately.Human beings are frail and apt to turn to miracles when the progress of the modern medicine seems to be delayed. In this criminal case, it was lucky that the police could build a case thanks to the material evidence of a bracelet. About 10 years ago, there was a time when multilevel marketing system of nutritional supplement, which was introduced from abroad, became popular. The more stocks a distributor replenishes, the more he/she can be promoted in the organization and gain back margins from the lower-level distributors. It is the catch phrase that distributors of a high rank can gain a huge amount of money, which is the back margin of the sales from the lower classes, without doing anything and lead an idle life. But the reality of this system is that most of the distributors cannot make money continuously because of various problems such as having to put in stock a large number of supplements which have the expiration date. And there is another business getting popular in modern society these days—a healer training course. They abuse invisibility of the spiritual world and are expanding their business by running a fraudulent certificate system. In this business they don’t deal in commodities, so it is a slightly different from conventional multilevel marketing in a sense. They give a certificate of a spiritual healer, which is worthy only within the group, to the participants in exchange for hundreds of thousands of yen. Since there is no trade of articles, there is no loss in this business, and if any trouble happens to a participant, it is attributed to the participant’s imagination or misunderstanding. On the contrary, the accuser would be denounced and the discussion ended. It may be difficult to build a case from a legal aspect. A crucial difference between the business of giving people a certificate of a healer in exchange for money and that of multilevel marketing system is that the former abuses the name of invisible God or universe. They make up a nonsense hierarchy and a theory of spirits and run a system which deprives the sick in suffer of their money. This kind of business often passes some dead man off as a guru and base all their theory and effects on the man. They pass all the buck of effects to the guru already dead and advertise. If some trouble occurs and they are accused, they put the blame on the guru and use sophistry to escape the responsibility. It is regrettable that spiritual dirt is attached on the old who are in suffer and ignorant of the spiritual truth and are urged to join such a group by his/her grandchild or relatives. It is your responsibility in the future ahead to have spiritual dirt all over your body, whatever reason you have.The spiritual light from the sun affects the whole human beings. The true memorial service is just to devote gratitude in normal language to your ancestral spirits for your being kept alive without expecting any recompense. Scriptures or incantations which don’t make any sense are in the way. Pay psychics are not only unnecessary but also cause you spiritual dirt. It needs no reason for offspring to comfort their parents. There is something understandable between parents and children. You don’t need to ask someone else to hold a memorial service for your parents in your place. Recent business depression seems to foment this new kind of pyramid scheme. Those who avoid working honestly arm themselves with knowledge of spiritualism, join the business and teach a strained interpretation of the spiritual world. Surprisingly, I hear the remnants of sarin gas attack on the Tokyo subway participate in the business, too. Such money-making business groups seem to get stronger from now on. We need to sound the alarm. There’s no other way to reduce and get rid of your spiritual dirt outside of a memorial service for your ancestors held by you. Help is given to only those who help themselves. The life you’re now living is the first and the last. Just once. You can never be born again under the same situation and condition. The stage of the earth where you experience your life is always changing, too. Your physical body in this world is the first one given by your parents this time and had never existed since the birth of the earth and it is different from the one in your past life. Though each soul has been reincarnated over and over, the physical body you’re given in each life is the only one. In the same way, souls are not reincarnated in 100% the same condition, for Ubusuna-kami（産土神）, a deity which unites with a soul at birth, varies depending on the country of birth. Also, there is a core in our souls, which is unchangeable and lives throughout the journey of reincarnation. The core of a soul can be developed greatly or hurt every time it experiences a life in the World of Reality. There are some people who think that there is no reincarnation. In a strict sense, there can never be reincarnation with your soul in the exact same condition. There is always something changing. That is, your present condition is all you have, no matter what your previous life was and your future life will be. It doesn’t matter whether you were a great man far in the past or a fortune-teller tells you about your future success. What you are is the final compilation of the journey of your soul. It is now that is the result of your past lives. Even if you feel your present situation to be wretched, painful or miserable, all you have to do is make efforts to make it better, always watching the present situation. If you can make these efforts, it means that your journey through the past lives has been the right one. The purpose of the journey is not to make a fleeting fortune. It is whether you can make efforts positively in the face of difficulties that shows the degree of maturity of your soul. Do not try to depend on others in search of a shortcut or an easy way. The core of your soul doesn’t develop at all with you dependent on others. Live your own life for yourself, always grateful for being kept alive. As you live like that, an absolute, great help will come from without. A great help is given to only those who help themselves. Last night, I saw a TV program featuring Mr. Ichiro Suzuki, a Japanese baseball player. I found it interesting in a spiritual sense. 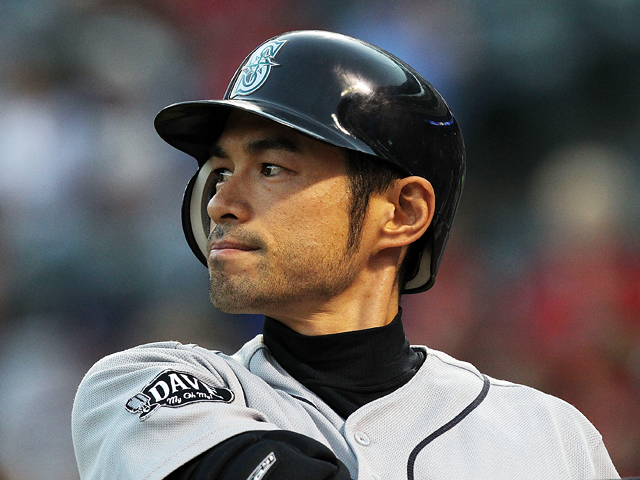 In a dialogue with a neuroscientist, Ichiro said that he never touched another person’s bat and gear. According to his, the reason for this is that he feels as if his bat, from the grip to its edge, were clearly part of his physical body. And once he touches another person’s bat, the feeling is lost, and it takes a long time to get it back. I understand what he said very well. There is a deep, spiritual meaning in his saying. The gear you often use or the goods you are attached to come to wear magnetism of your spiritual body naturally. In his case, his bat is covered with his spiritual magnetism and assimilated into his spiritual body as an extension. Bats are made of wood, to be sure, but it can be part of an extension of a spiritual body by means of spiritual magnetism. I can understand very well that he feels as if his bat were his finger tip with his bat being part of his spiritual body, The neuroscientist also said that the phenomenon that things, frequently used, become part of a physical body is proved to be true by an experiment with a monkey. Another person’s gear is covered with the owner’s spiritual magnetism. To touch it is to touch the owner’s spiritual body, and your spiritual body loses its subtle balance. The lost balance can never be regained until you coat it with your magnetism. I have written in a previous post about my psychic reading of his previous life, in which he practiced ascetic trainings very hard using well water at a temple of Nichiren school of Buddhism（日蓮宗）. Surprisingly, he did the same thing many times in his precious lives. As a result of the ascetic training, his spiritual body retains a keen touch in this life, too. That’s why a strong feeling of wrongness he receives when he touches another person’s gear is very understandable. Spiritual goods and the spiritual magnetism pay healers wear are very filthy. That’s more than filth in fact. It affects even your life span. Frequent, spiritual contact with the clients who have a lot of spiritual dirt makes pay healers covered with too much filth for them to recognize. And they infect it to other clients without knowing. Pay healers do this in return for money, so it’s the natural result of his own deed. But I feel sorry for their clients, who turned to and chose the wrong kind of means because of his ignorance. Truth is they are being exploited and misfortunes are attached to them. Neither healers nor their clients know the spiritual realities of this kind because they are both ignorant and insensitive spiritually.